The U.S. Air Force Weapons School (USAFWS) 16th Weapons Squadron Class 17B graduated its first female F-16 Weapons Instructor Course pilot. Capt. Clancy Morrical is the first female pilot to graduate from the school’s F-16 Weapons Instructor Course. Capt. 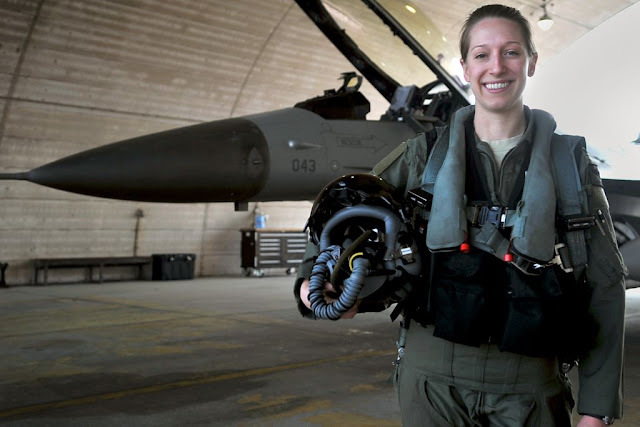 Clancy Morrical, 480th Fighter Squadron instructor pilot assigned to Spangdahlem Air Base, Germany, credited windows of opportunity that opened when her tactical and leadership skills were ready for the challenge. Attending the USAFWS is not a decision to make lightly. The school produces doctorate-level tactical experts and leaders for the joint force, requiring students to demonstrate dedication and perseverance throughout a rigorous six-month course. Lt. Col. Hugh Walker, 16th WPS commander, said he noticed Morrical’s outstanding capabilities and leadership skills while he was at Spangdahlem AB in 2015. He knew immediately it would not be long before Morrical was selected for the weapons school. Morrical’s decision to attend the USAFWS was grounded in her passion for education and her parents’ military service with the U.S. Army. With a bachelor’s degree in education, she chose to become an instructor pilot with the U.S. Air Force, rather than teach in the private sector. Attending weapons school was the next logical step in honing her teaching skills as well as an opportunity to integrate with other squadrons and platforms. The weapons school’s pace challenges students to manage their time wisely and learn quickly from the instructors’ constructive feedback, which focuses on areas for improvement. This allows students to stay on track with the course’s dynamic timeline of complex missions. Walker described Morrical as having an incredible mix of intensity and approachability, and said she will have an incredible impact in the F-16 and the U.S. Air Force. Now that Morrical is a weapons school graduate, she intends to help others in the same way.